As the MEP and fire/life safety engineer, Interface designed sustainable systems throughout this high-performance facility. The OHSU Robertson Life Sciences Building is a state-of-the-art, LEED Platinum teaching and research facility, and was developed to foster collaboration between undergraduate and graduate students, as well as instructors, from multiple institutions. It was designed and constructed in a 32-month timeline using advanced BIM techniques with a co-located team. 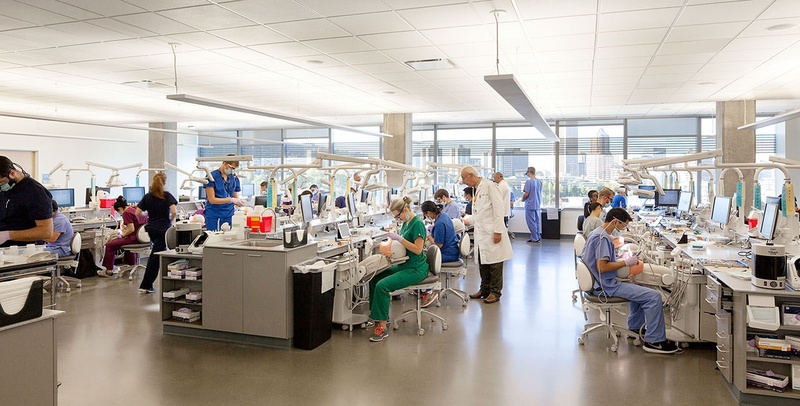 The buildings house lecture halls, laboratories (including an underground, low-vibration microscopy lab with electron microscopes), a simulation center, specialty research areas, the OSU College of Pharmacy, and OHSU’s School of Dentistry in Skourtes Tower, which contains one of the largest dental vacuum systems in the United States.